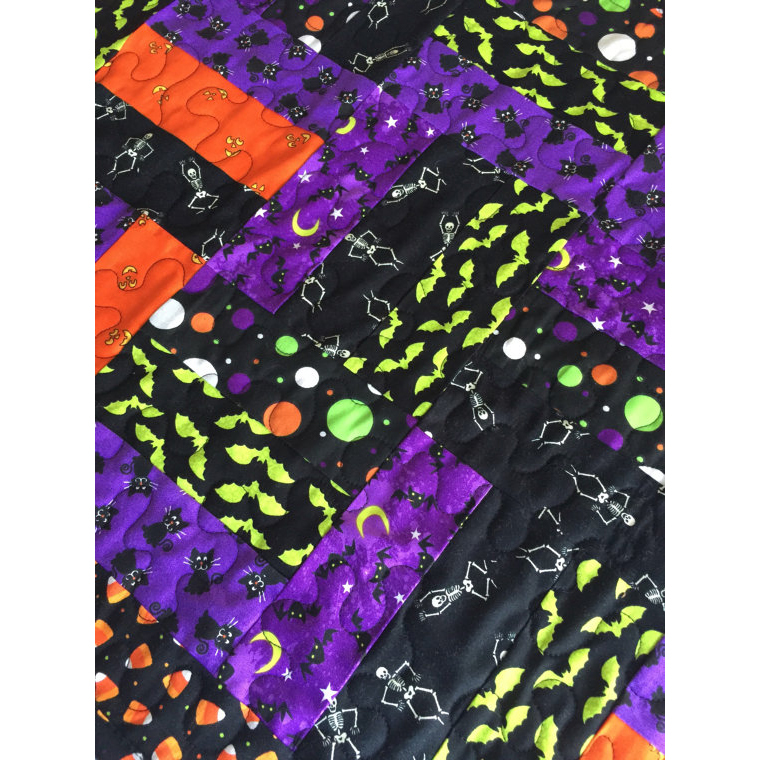 Purple Pumpkin Halloween Quilted Table Runner. 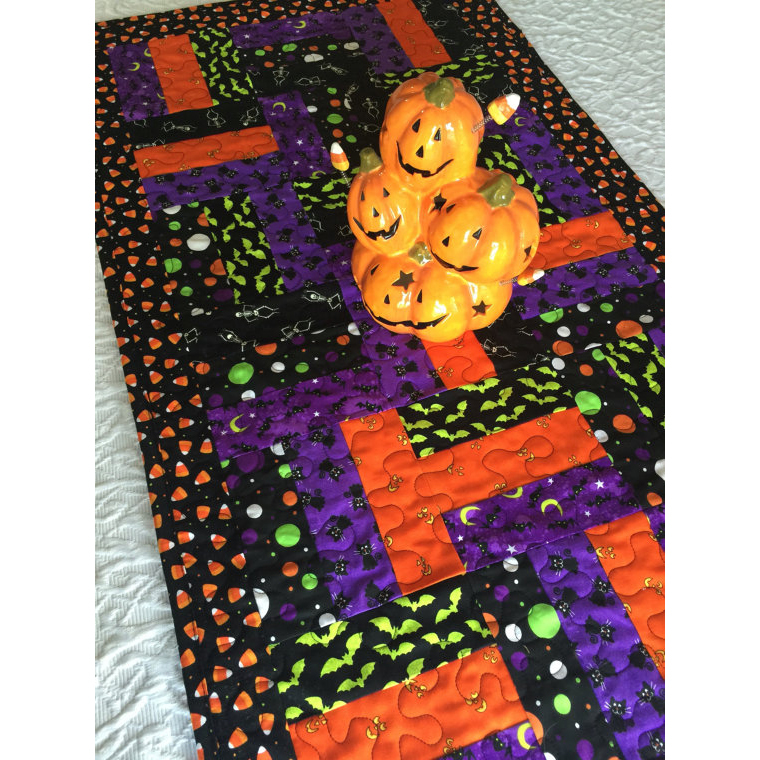 Lay out your Halloween goodies here. 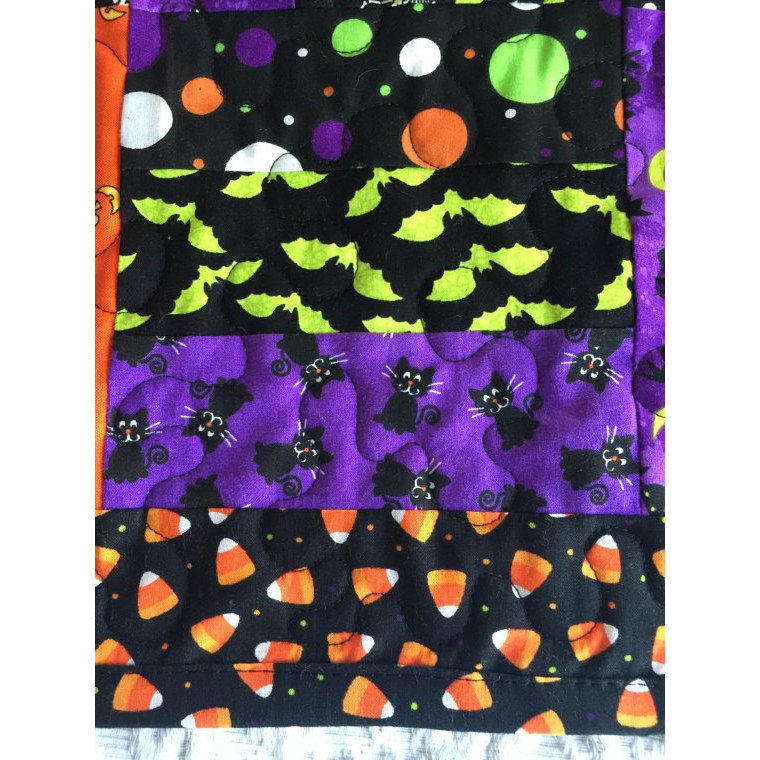 The perfect spot for your little boys and "ghouls" to sort their Halloween haul! 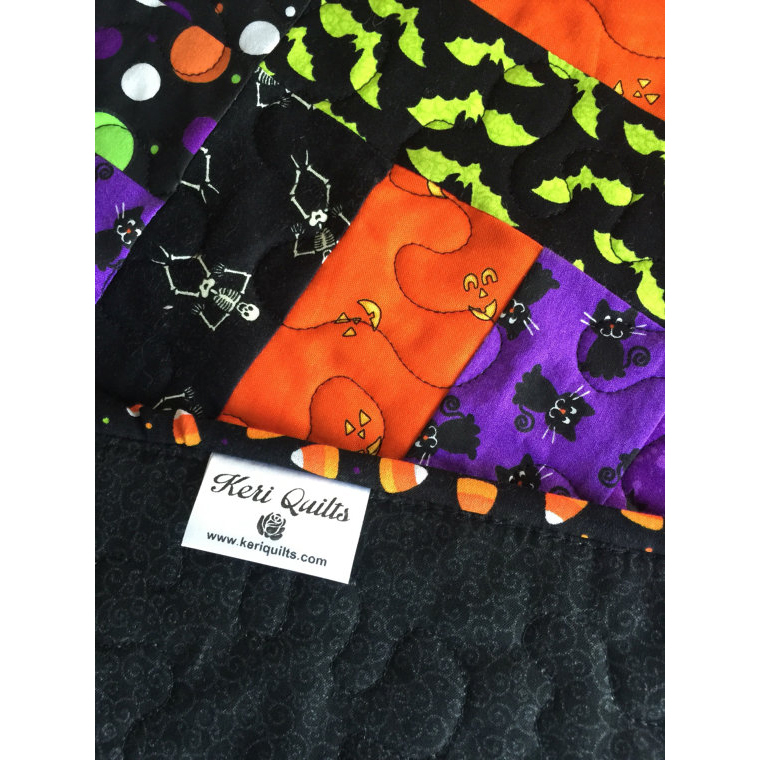 Quilted with black thread in a meandering stitch. Warm and Natural Batting is sandwiched in between layers. The matching purple binding has been doubled and machine stitched to quilt. Reverse side is a black and gray print shown in the last photo. Measures 42.5" long and 20" wide. Spot clean with cold water. Lay flat to dry. Iron, as needed. Note: This listing is for the exact Table Runner pictured above and does not include any props.